Outrageous Ambition are producers of commercial and social value; rather than inactive and passive, they are productive producers of beautiful art. 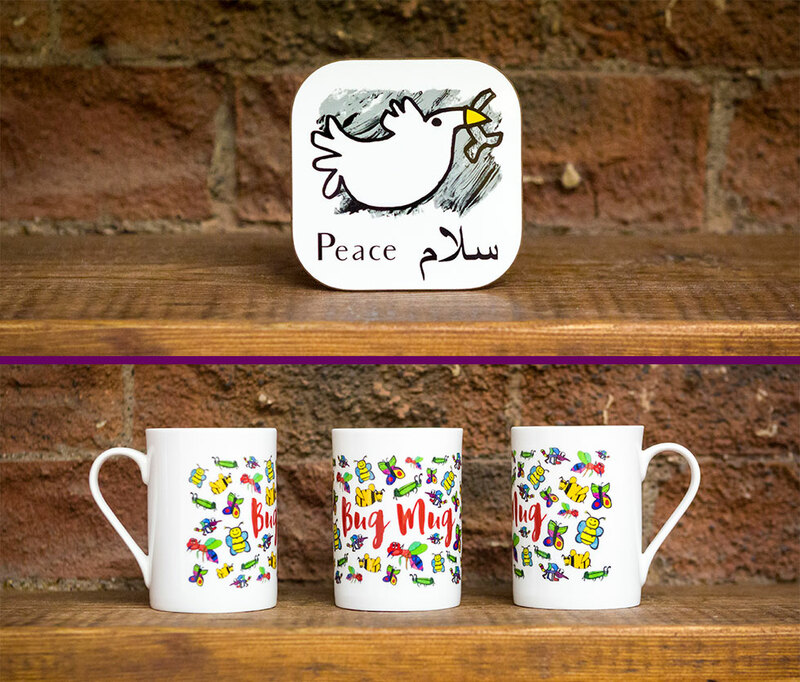 Simple but striking wall decor from Outrageous Ambition, highlighting that peace is a common aspiration, the foundation of a shared humanity. 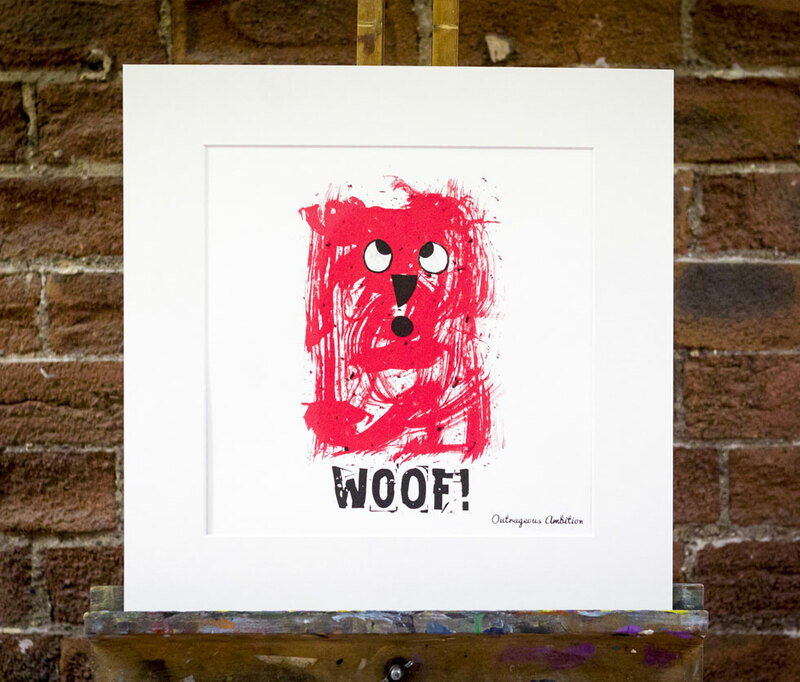 A hand-crafted screen print depicting a fun loving dog. 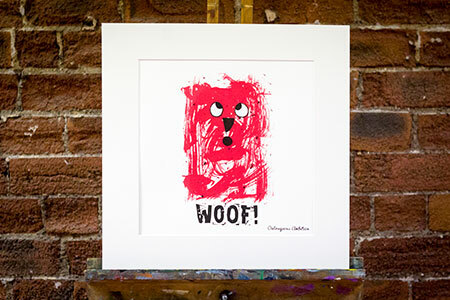 A beautiful piece of affordable art for a nursery, child’s bedroom or even a joyful animal loving adult. 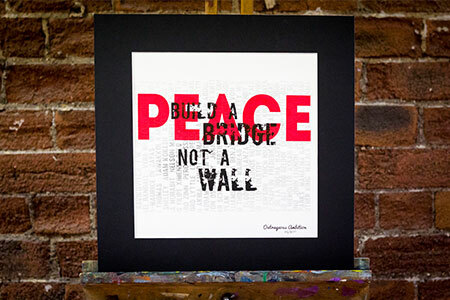 Build Bridges Not Walls, a piece of wall art very much of its time. 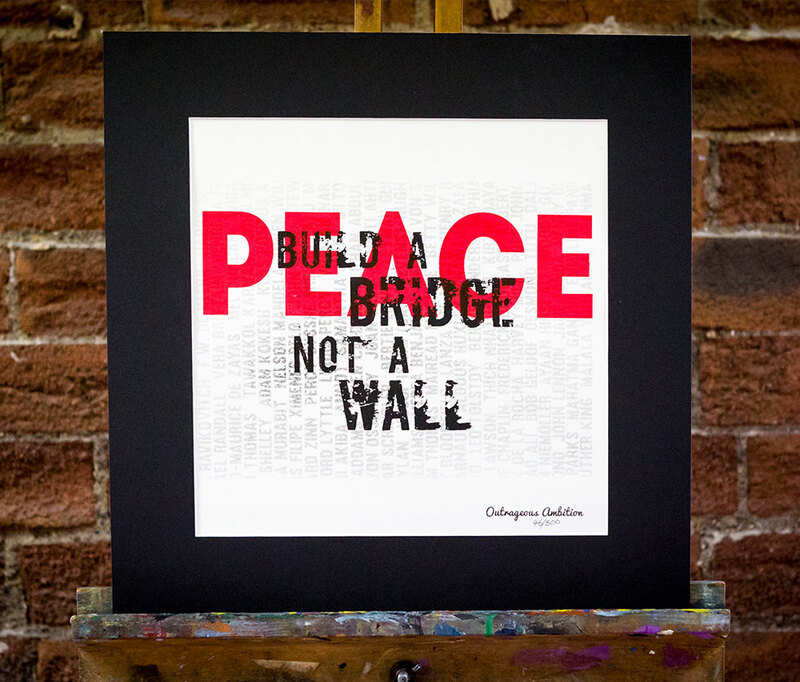 We build too many walls and not enough bridges. 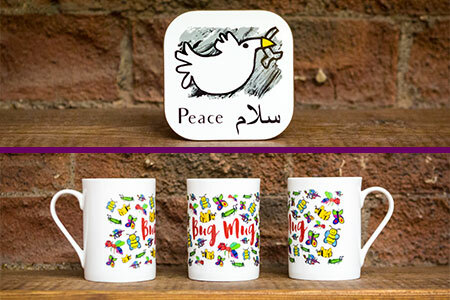 We also sell many of our illustrations as mugs and coasters. Rather than inactive and passive, Outrageous Ambition are producers of commercial and social value. 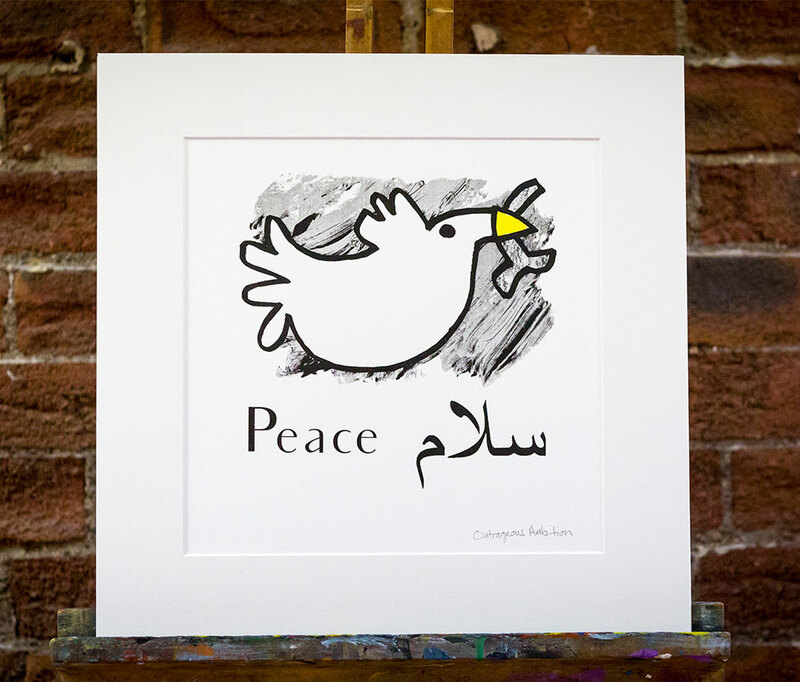 Simple but striking wall decor, highlighting that peace is a common aspiration. 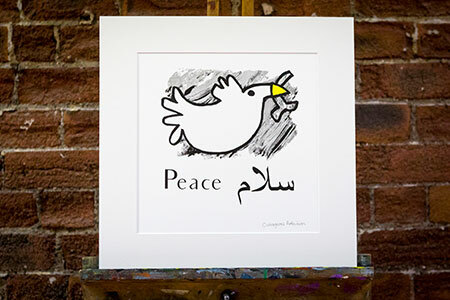 A beautiful piece of affordable art for a nursery, child’s bedroom or even a joyful animal loving adult. A piece of wall art very much of its time. We build too many walls and not enough bridges. 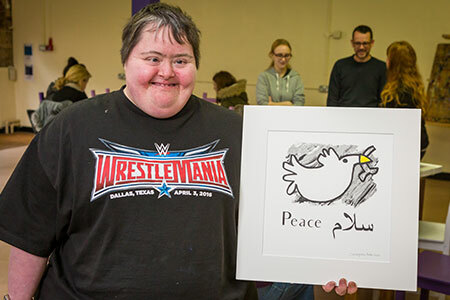 Outrageous Ambition brings together creative people that are able-bodied and disabled, neuro-typical and atypical, professional and amateur, trained and untrained, recovering from addiction and addicted to creativity. In their work, the Outrageous Ambition collective turns a good number of widely held misconceptions on their head: people branded as a ‘social problem’ demonstrate that they are in fact problem-solvers. 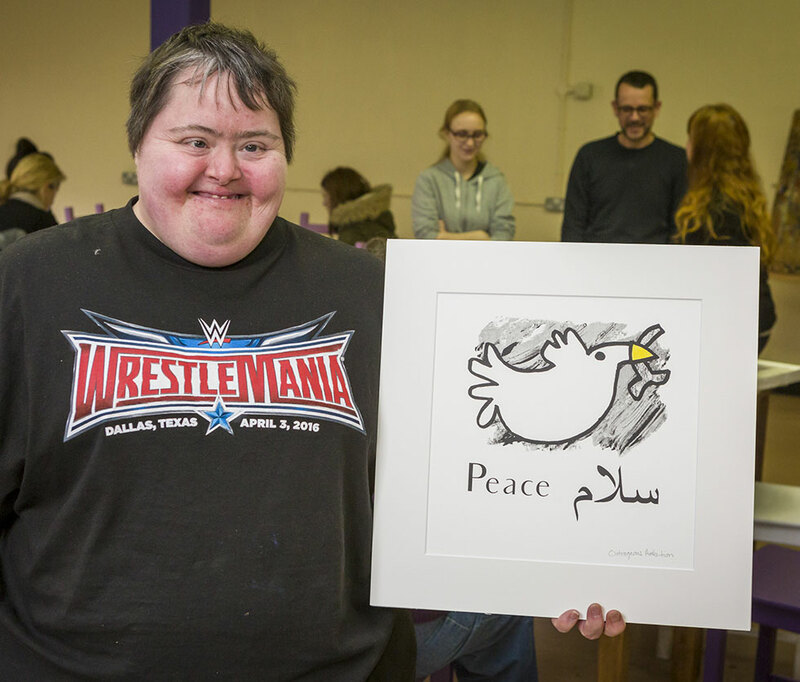 The entrepreneurial artists of Outrageous Ambition in their journey to self-belief and social change used their talents to extend their support to others working to make the world a better place. Outrageous Ambition’s artworks are not simply ornamental. Nor are they mere evidence of the achievements of the creative teams behind their production. They are made with the explicit purpose of impacting on the world, of becoming multipliers of social and financial value, of activating self-propelling cascades of actions making a positive difference. Outrageous Ambition are prolific producers of stories that are, well… Outrageous. Outrageous Ambition are masterful in making connections between people, driven by their core belief that great things happen when people come together, particularly when these people are usually kept apart in everyday life. Outrageous Ambition will make you feel warm inside.